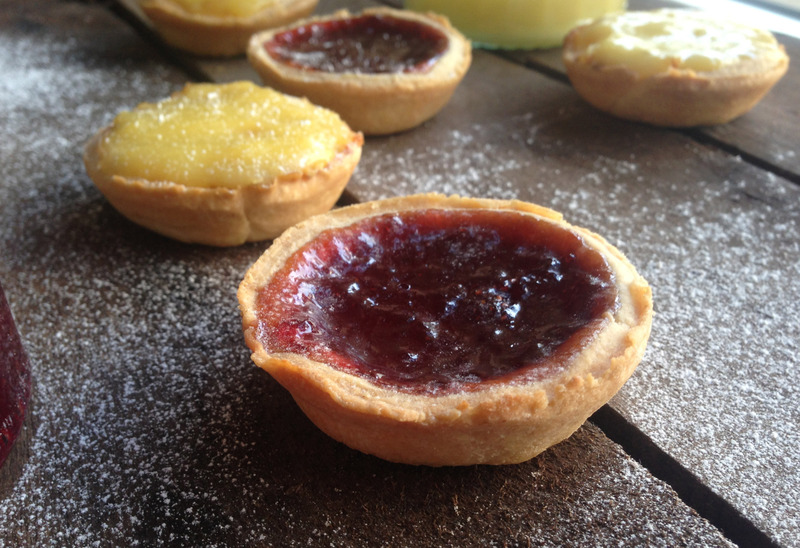 Jam tarts are a brilliant and simple little sweet treat and you can customise by using whatever jam you want. I personally love a good strawberry or blackberry conserve, with a high fruit content. 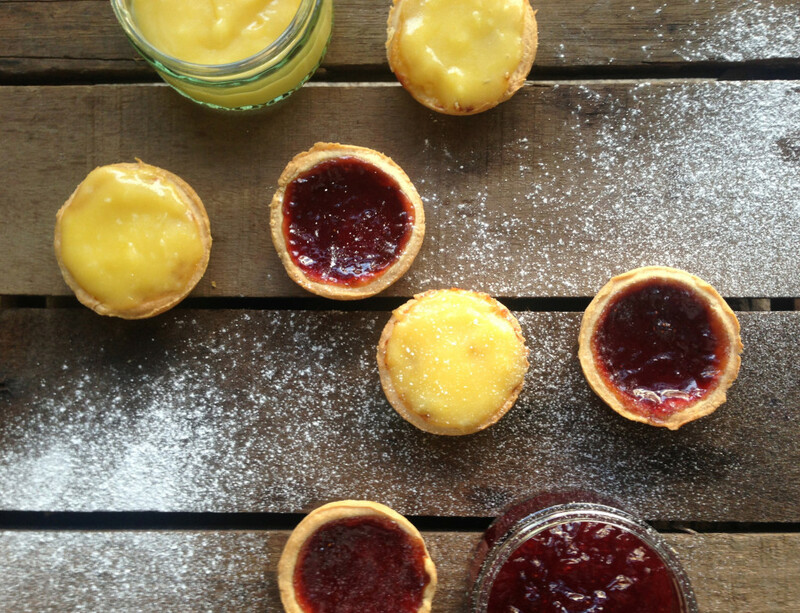 Matt is a big fan of the lemon curd tarts and making your own lemon curd is so easy and tasty, you’ll never use shop-bought again. This recipe makes around 12 jam tarts which you’ll get through in no time! Just remember to let the tarts cool before you take your first bite, as a burnt tongue will definitely ruin your jam tart fun! To make your pastry, add the flour, butter and salt to food processor and pulse, until the mixture turns into a fine breadcrumb texture. Then slowly add the cold water and stir, until your pastry comes together, without being too moist. Wrap your ball of pastry in cling film and leave it in the fridge for 30 minutes. Whilst your pastry is in the fridge, you can make the lemon curd. Firstly, add the lemon zest, juice, butter and sugar into a heatproof bowl and put over a saucepan of simmering water. Stir regularly until the butter has melted. Then whisk the eggs and add them slowly to your butter mixture, stirring regularly, and heat for a further 10-13 minutes, until the mixture thickens (you’re looking for a thickness similar to double cream). Then set the mixture aside and leave it to cool, stirring occasionally. Pull the pastry out of the oven and put it on a lightly floured surface. With a rolling pin, roll your pastry out flat, until it is roughly 0.5cm thick. Then, using a pastry cutter (or a glass/cup if you’re less fancy) cut your pastry into small circles, slightly bigger than the holes of your tart moulds. Grease your tart moulds with some butter and carefully put in your pastry circles. Then, add your jam and/or lemon curd (roughly 1 heaped tbsp per tart), ensuring that it is not too close to the top of the pastry, or it will overflow when cooking. Put your tray in the oven and cook for 15 minutes, or until the pastry is a golden brown colour.